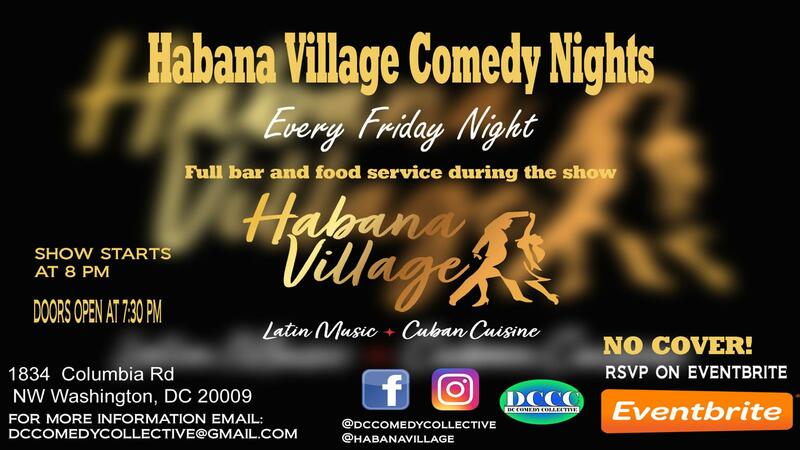 Every Friday night Habana Village and the DC Comedy Collective bring a comedy show with some of the best rising stand-up comedians from the DMV, new talent and special out of town guest comidians. The show is produced and hosted by the members of the DC Comedy Collective & friends. Food and drinks service available during the show, serving the best Mojitos in the city! Reserve a table for your party by getting free tickets at www.eventbrite.com or by going directly to the Eventbrite link on our Facebook page @dccomedycollective (like our page while you’re at it 😁). Note: If you are reserving a table through Eventbrite, please request the same amount of tickets as there are people in your party).